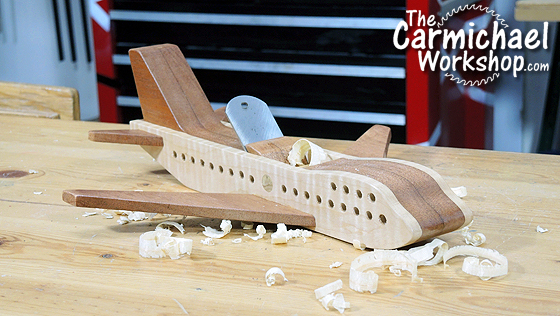 The Carmichael Workshop: Make an Airplane Hand Plane for Makers Care! Make an Airplane Hand Plane for Makers Care! I made an Airplane Hand Plane for the MakersCare.org fundraising effort that Steve Ramsey of Woodworking for Mere Mortals has founded. Watch my video of this project, then visit MakersCare.org to see how you can help make a difference in a child's life too! This Airplane Hand Plane is made from mahogany and curly maple. It actually makes shavings! I borrowed the blade from an old cheap hand plane. It would probably work better with a nicer blade. I also made a fake wooden blade for display purposes, so that kids of all ages can safely check it out. 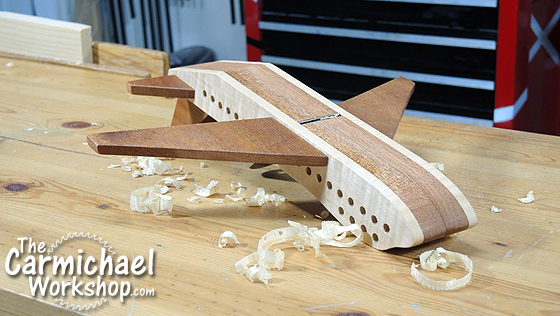 If you would like to make an Airplane Hand Plane too, Click Here to Download My Template and follow the instructions in the video. It's pretty simple...just cut out all of the pieces, sand them, then glue it together. Just wing it! Cool Stuff at Maker Faire Atlanta 2015! 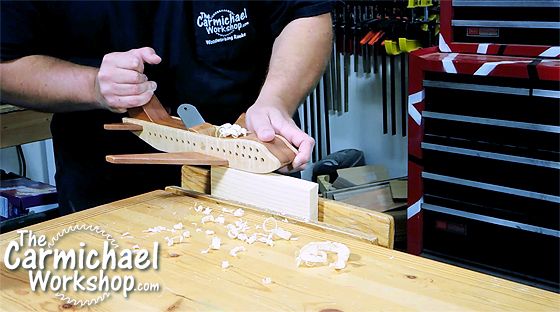 My Top 10 Woodworking In America 2015 Moments!